Were graded in such a way that incorrect answers are identified as correct and correct answers as incorrect. We concluded that no tests that so flawed should be given to anyone. Certainly, with stakes so high for students and their teachers, these Smarter Balanced tests should not be administered. The boycotts of these tests by parents and some school districts are justified. We urged responsible government bodies to withdraw the tests from use before they did damage. A fantastic segment from this week’s show. A must watch! Here is the link: https://www.youtube.com/watch?v=J6lyURyVz7k. Thank you for bringing numerous items to the surface in your report. The system is “broken” and the Smarter Balanced test does not do it any justice as I feel it does not test for understanding. Technologically compromised as well as discrepancies from the standards seem to be what $72 million dollars have brought us. I’m sure we could all go on and continually add to what has been brought out. I just hope the profession itself doesn’t get destroyed in the process. Steven Rasmussen’s analysis of the Common Core mathematics test should be required reading for every legislator, policy maker, school board member, superintendent, principal, teacher, and parent. We do a terrible disservice to American children if we judge them by deeply flawed measures. Thank you for the time put in and insight you provided in your article about SBAC. It justifies exactly what we, as the 8th grade math team at our middle school, have known all along. As a mathematics major and mathematician, I fully appreciate your analysis of the problems you picked. After reading your piece covering the flaws you found on the Smarter Balanced assessment, I had to reach out and thank you. I teach fifth grade. I put my students on the math test, made a video and sent it to Smarter Balanced. My students are on computers almost every day—they are tech savvy. The video is worth a watch: www.youtube.com/watch?v=UZgb46Jm4Oo. If you read nothing else about Common Core assessments — read this! Rasmussen’s analysis is an eloquent indictment of what looks like another attack on our public schools. As math educators, we should support the students and parents who are opting out, and our organizations should lobby against the yearly-testing madness. I thank you for the eye opening difficulties that students who have to take this assessment will be subjected to. In Canada we have moved to computer based assessments and I believe such problems would be identified in the field testing of items. Very disappointing that this situation needlessly exists. Like Steve, I was skeptical yet hopeful that we were about to see a new generation of testing that would be creative and useful. This new test would spearhead positive changes in what happens in our math classrooms. Unfortunately it doesn’t appear to be happening. I didn’t have high hopes for the Common Core assessments; but I didn’t expect to be this disappointed, and worried. I’m amazed all we’ve learned about effective curriculum design (and frankly even effective test design) gets thrown out the window when it comes to ‘designing’ usable technologies! Thanks for painting such a clear picture of how short the path is from design incoherence to mathematical incoherence. I read this article and then took the SBAC practice test and I agree with everything Steve says. The article is long and detailed and definitely worth reading. A must-read for all who have been hoping for better tests, which are a critical element in the standards-driven reform movement. Rasmussen exposes how far short of the promised improvements the new tests are likely to be. My group read your piece. We found the examples to be worrisome and compelling. You convinced us that writing assessments requires lots of expertise and critical eyes. When the inevitable problems occur with the SBAC and PARCC test administrations this year, the public outcry will be about how the technology infrastructure failed or how the tests were taking too much valuable time away from real instruction. Your critique may point people in a different direction — to look at what was actually being tested and how that was enacted. If people do that, your document will have done a great service to all. To get a PDF of this report, click the Full Report button above to open the file and then download the PDF from your viewer. Please share it with your colleagues and friends. Among other projects, Steve is an active Board member with Teachers2Teachers-Gobal, an organization creating partnerships between teachers and education professionals in the U.S. and teachers abroad. 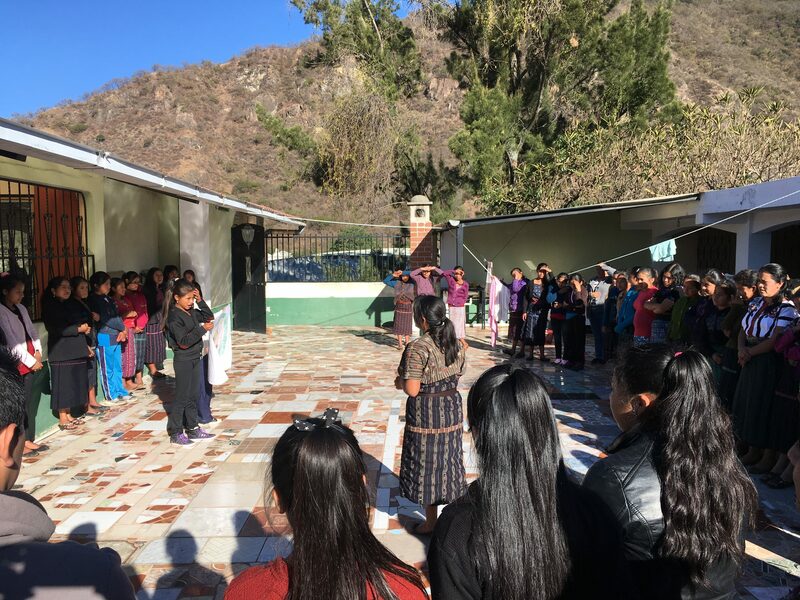 Join T2T-G on one of their trips to work with schools, teachers and students in Guatemala or Ecuador! © 2019 SR Education Associates, LLC – The Smarter Balanced Common Core Mathematics Tests Are Fatally Flawed and Should Not Be Used All Rights Reserved.